I just got up from a nap. And I had a bunch of other things to tell you about, but I realized what I most want to tell you today is the subject of today’s email: it’s OK to take a nap. It really is. I know the world is falling apart. I know you are a critical member of an essential team doing very important things in the world. And…it’s OK to take a nap. Or go for a mid-day walk in the park. Or leave early to take your kid to soccer practice. Or whatever, so long as it’s something that nurtures you. I totally get it, EB. Me, too. And sometimes, I notice folks get so busy saving the world that they put savoring way on the back burner. Here’s the deal. Summer is almost over. Pretty soon we’ll all return to the hustle and bustle of fall and get busy squirreling away nuts for the winter. So now’s your chance! Sometime over the next week, I encourage you to give yourself the gift of at least one hour that’s luxuriously nurturing for you. Because, you know…we need you out there. You are saving the world. And this is a marathon, not a sprint. 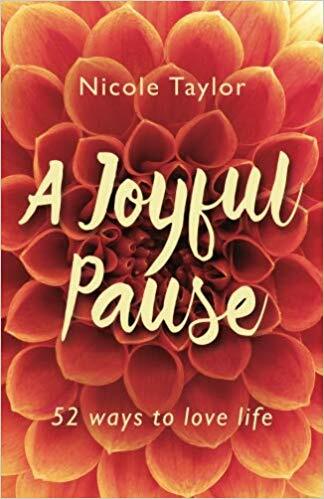 In keeping with this week’s theme, Nicole Taylor – Skid Row School alum and faculty member for our fellowship, just released her first book A Joyful Pause: 52 Ways to Love Life. I am so looking forward to receiving my copy this weekend! Many of you met one of our fellows, Michelle Molitor, when she was on the faculty at the Skid Row School. She is the founder of The Equity Lab and they are now accepting applications for the Nexus Fellowship. Organizations are asked to identify two representatives for a year-long experience to strengthen skills in race, equity, diversity, and inclusion, especially in the k-12. LaShawn Chatmon and Kathleen Osta from the National Equity Project wrote this thought-provoking article for Ed Week: 5 Steps for Liberating Public Education from Its Deep Racial Bias for EdWeek. Please share with your favorite educators! The Brookings Institute is hiring four positions related to scaling – a scaling lab researcher and a scaling lab facilitator each – for their work in Côte d’Ivoire and Jordan.